In the Sofia The First Appisode featuring “Enchanted Science Fair” preschoolers experience the magic of watching, playing, and interacting directly with their favorite Disney Junior TV show in a whole new way! When Sofia and her friends divide into teams to work on their projects, the competition gets combustible, but with your help they’ll learn that the secret ingredients in any experiment are teamwork and friendship. 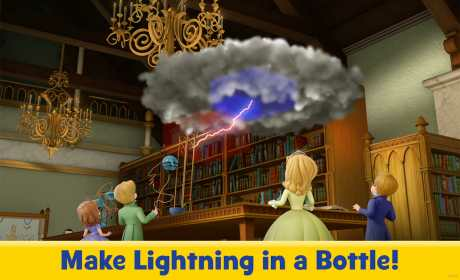 • Have a blast with lightning in a bottle! • Play some tunes with the musical mist geysers! 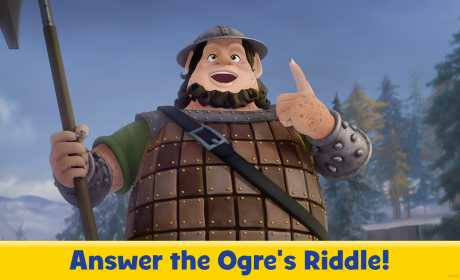 • Solve the ogre’s riddles to find the exotic hocus crockus! • Interactive full-length Disney Junior Sofia The First TV episode. 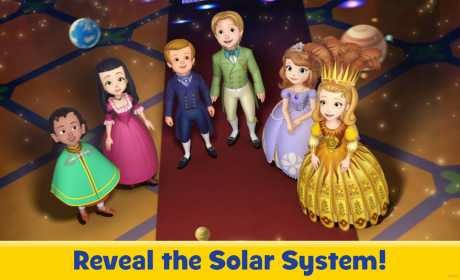 • Over 20 interactive activities featuring your favorite Disney Junior Sofia The First characters.